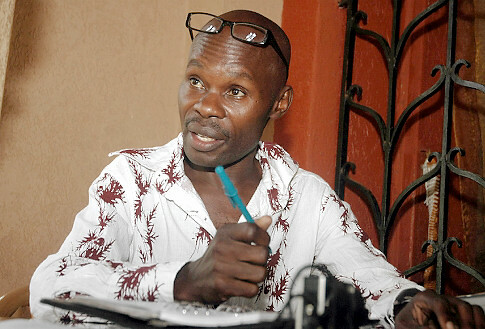 David Kato, Ugandan LGBT rights activist, is considered a father of Uganda’s gay rights movement. He was beaten to death on this date (Jan. 26, 2011) in a case that some blame on anti-gay religious rhetoric. Many have heard of the 45 Ugandan Martyrs who were killed for their Christian faith and canonized as saints. Kato can be seen as a new kind of Ugandan martyr, killed for the cause of LGBT equality. American evangelicals helped stir up the hostility that led to Kato’s death because they promoted a law imposing the death penalty for homosexuality. The influence of the US evangelical movement in promoting the anti-homosexuality law is explored in the award-winning 2013 documentary “God Loves Uganda.” Watch the trailer below or on YouTube. Shortly before his murder, Kato won a lawsuit against a Ugandan magazine for identifying him as gay and calling for his execution. Kato’s murderer was sentenced to 30 years in prison, but the anti-gay motive for the murder was covered up in the trial. A documentary about Kato, “Call Me Kuchu,” premiered in 2012 at the Berlin Film Festival. Watch the trailer for the video below. "Kuchu" is the term used in Uganda for LGBT people. Call Me Kuchu - Trailer from Call Me Kuchu on Vimeo. Below is a news video about Kato from “The Rachel Maddow Show.” It includes scenes from Kato’s funeral, where Ugandan clergy speak both for and against LGBT rights, and David’s own voice in an NPR interview about homosexuality in Uganda. Hope for change is expressed in the 2016 book “In Defense of All God's Children: The Life and Ministry of Bishop Christopher Senyonjo.” It is the life story of Uganda’s bishop who advocated for LGBTQ rights. He is featured in the film “God Loves Uganda.” After his retirement as an Anglican bishop in 1998, Senyonjo started a counseling practice. His compassion and understanding of human sexuality soon attracted LGBTQ clients. His faith compelled him to speak out against Uganda’s proposed death penalty and other harsh policies for LGBTQ people, risking his life for justice. Now at age 83, he has written a highly readable memoir revealing the unlikely and inspiring path that led him to international activism for LGBTQ rights in Uganda, in the Anglican communion, and around the world. 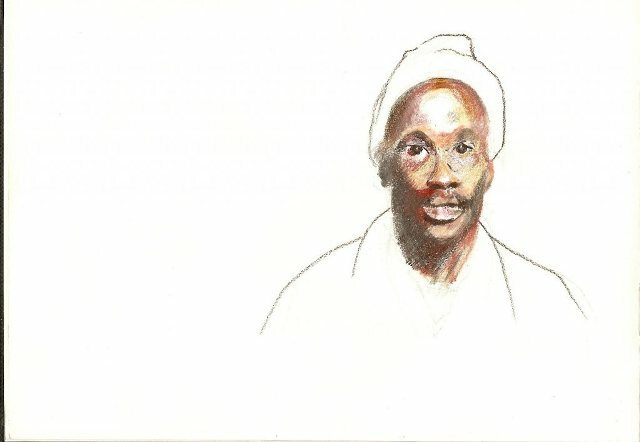 Australian artist Rod Byatt drew the portrait of David Kato above. The stark, unfinished quality of the portrait conveys the sense of a life cut short. Byatt posted it on his blog **gasp! ** (Gay Artists’ Sketchbook Project) with a reflection that begins, “We grieve over the loss of David Kato. We know that being gay is anathema to Family, Church and State, and increasingly The Media...” Byatt is part of the Urban Sketching movement that seeks to link personal identity to broader social issues. On the anniversary of his murder, may those who honor David Kato’s legacy continue to work for justice and equality for all. May he find peace with all the other LGBT martyrs and saints who have gone before.